Hmmm… what is your lucky number today? That could help when you are setting up the bets for European Roulette. Revisit this entertaining table game on any device of your choice by simply logging onto Moon Games. This casino game indeed marks its name as one of the best variations of roulette around. With high-quality gameplay, exceptional 3D visuals and charming options, play Roulette as a real punter. Ready to know more about the game? Here comes everything you need to know about European Roulette by NetEnt. Begin playing European Roulette by setting up the bets of your choice. The game allows you to set traditional Roulette bets by simply clicking onto the various numbers and betting areas on the mat. European Roulette is playable on mobile, tablet and desktop devices. Here is everything you need to know about the bets of European Roulette! Bet Levels: European Roulette by NetEnt does not offer any Bet levels. However, you can increase the bets by clicking multiple times on the number that you wish to wager on. Amount of Paylines Selection: This game is a table game and as such, it does not involve any pay lines during its gameplay. Coin Values: There are adjustable chip values on European Roulette. Just at the bottom of the screen, you will notice a pool of chip values. Feel free to select a minimum of 0.10 up to a maximum of 1K. You can navigate through the values by simply clicking the left and right arrows found at each side. 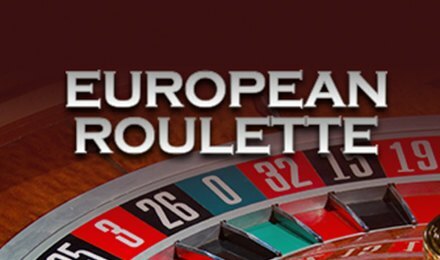 European Roulette shares the traditional roulette gameplay. As such, you will need to set a bet as soon as you log into the game. Once you are done with the bets, click on the spin button to launch the ball. At the end of the spin, the number that is designated by the Roulette ball is the winning number. If you wagered onto that specific number, you are awarded a win! You get to choose the various standard bets of Roulette. Feel free to choose between Straight, Split, Three Line, Corner, Six Line, Column, Dozen, Red or Black, Even or Odd or Half and Half bets on European Roulette. By clicking onto the racetrack icon at the bottom tab, you will have access to the Racetrack Bets. This special type of betting enables players to set the bets based on the number sequences of the roulette wheel. European Roulette presents the Hot and Cold Number screen at the top right side of the screen. This option allows players to know which number is winning the most as well as the least. Set your stakes? Good luck… here comes the Roulette Ball!